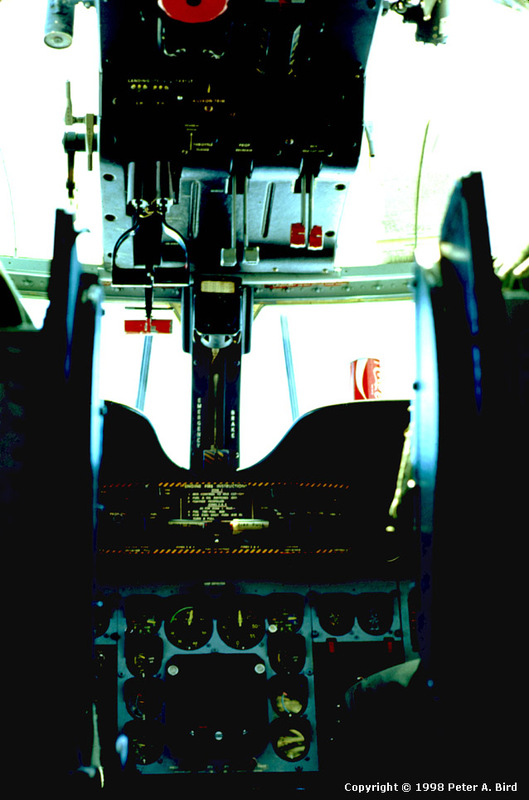 This view of the cockpit was taken looking up from the cargo compartment floor. The photo isn't too great, because the lighting was tough, but gets the idea across. Clearly visible in a row across the overhead console are, left to right, the throttles, prop levers, and mixture levers. The Coke can was not standard issue equipment.